I recently received a request to write a blog to clarify the difference between risk and vulnerability. In a perfect world risk would be looked at holistically and there would be no need for an explanation, but of course, we are still managing risk in silos – not holistically and it is from these silos that this confusion arises. A possible event/incident that, if it occurs, will have an impact on the objectives of the organisation. What is a risk? organisation delivers a project or program that is unsafe or not fit for purpose. Each of these risks have causes and in an ideal world, controls are linked to those causes to minimise the likelihood that the event will occur. Classic risk management. So, how is this different to being under threat or vulnerable? In broad terms, a threat is a cause and a vulnerability is representative of control effectiveness. These terms are mainly used in the management of “security risk”. It is the introduction of these terms that causes the confusion. cyber criminals, different types of weapons etc. Stating that these threats are risks is actually hindering the management of the true risks. Let’s look at a classic example – the vulnerability to the threat of a cyber-attack. disruption to XYZ system for a period exceeding Maximum Acceptable Outage. In this case, the “threats” are the causes – but they are causes for a broader risk. If we then went on to assess the effectiveness of the controls, we can then assess our level of vulnerability to the identified threat/cause. If we rate our firewall technology as being ineffective then the organisation has a vulnerability to cyber-attack (the threat/cause) which heightens the likelihood that the risk (i.e. unauthorised release of confidential information) will materialise. 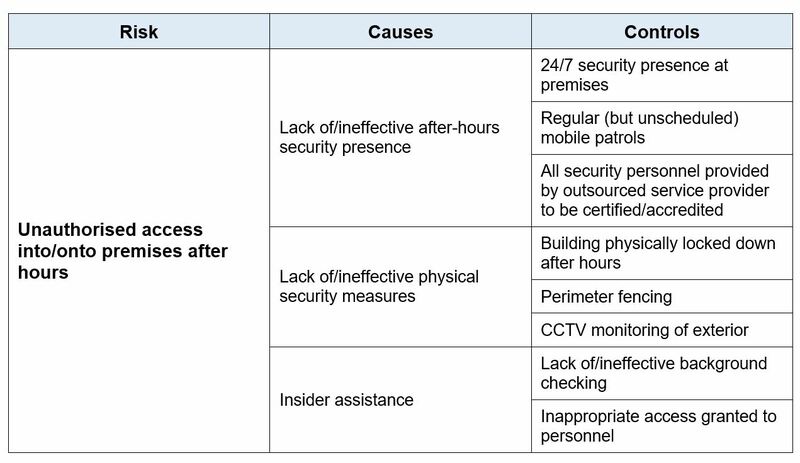 It is also the case in relation to physical security. We see organisations assessing the threat of terrorism, the threat of theft, the threat of wilful destruction of property, the threat to personnel etc. But once again – I believe the focus is all wrong. We need to be assessing the risks. 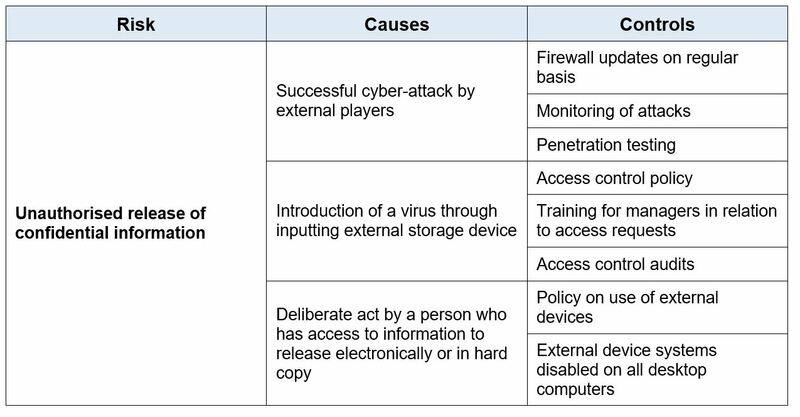 Unlike in the previous example where the threats were causes, when it comes to physical security, the threats are a combination of causes (terrorism) and consequences (theft, wilful damage). incident involving Issue Motivated Person or Group (IMPG) at organisation’s site. Like the previous example, there are causes with controls linked to those causes, which, when assessed for effectiveness, determine the likelihood of the event. Manage the risk – not the cause.